Street view, Ste. Marie-aux-Mines,Vosges, FR, an area where Jordi families lived before emigrating to Bavaria. This document explores the ancient and historic roots of the relatives and descendants of Peter Yordy (1815-1897) of central Illinois. The surname “Yordy” is the Americanized form of the surname “Jordi.” While the surname itself can be traced to Switzerland, this article will begin by citing the probable origins of the family long before the surname came into existence. By combining information from the historic disciplines of anthropology, archeology, paleontology and etymology with recent developments in genetics, Part 1 of this article postulates the movements of the Yordy ancestors from pre-history until the arrival of Yordy families in America. It is difficult to imagine that the ancestors of the peace-loving Mennonites and Amish were at one time violent warriors; or that the docile farmers whose lives are tied to an agricultural lifestyle are descendants of hunters who survived by eating what they could find or kill; or that the ancestors of those who shun makeup and ornaments were tattooed and wore many “magic” objects to fend off evil spirits; or that those who treasure their relationship with one God descended from those who worshiped many gods and feared as many evil spirits. Yet every scientific and social discipline indicates this to be the case. The newly completed genome project offers that somewhere in the relatively small group of early humans was a many-times great grandfather of today’s Yordys. He could be identified by a unique part of his Y chromosome known as “Haplogroup I”. “The Helvetii 2 were the Celtic inhabitants of modern Switzerland and to a larger extent Southern Germany. They were described by Julius Caesar in his De Bello Gallico. Under pressure from Germanic tribes in their home territory, they were planning to migrate into Gaul (France) with their entire tribe under the command of Orgetrix. According to his own account, Caesar was called upon by the Gauls of the province of Gallia Narbonensis, which had already been conquered and organized, to defend them from the invading Helvetii. Caesar, at the time, commanded six legions comprised of nearly 29,000 men. The Helvetii, according to Caesar’s writings, had 370,000 people (including children and women), but only 110,000 men-at-arms. Caesar hastily recruited two more fresh legions in preparation. By the time the tribe began its march, Orgetorix had died. Before leaving, the Helvetii burned their villages and destroyed what foodstuff and other commodities they could not take with them so they could not turn back. Lured to a disadvantageous position with the Romans taking the high ground near the Aedui capital of Bibracte, the Helvetii were attacked by the superior Roman forces that managed to kill nearly sixty percent of the tribe and capture another twenty percent as slaves. The remaining Helvetii were driven back into their old lands, Helvetti.” The Romans then began an occupation of the Helvetti lands (in what is now Switzerland) that would last 400 years. It is thus virtually certain that at the time of the birth of Jesus, our ancestor was also living under Roman rule, but far to the north of Bethlehem, in the area that today is far southern Germany or northern Switzerland. If our ancestor was a Helvettian, he was one of the few to survive the ill-fated encounter with the Roman armies. But our ancestor may have been a member of a tribe located in southern Germany—the Alemannians. “The Alemannians crossed the fortified northern Roman boundary and settled in the area. German became the language of lands occupied by the Alemannians.”3 Of course, the populace had to deal with all of the daily dangers of accidents, diseases, including plague, and the impacts of weather on their lives. Our ancestor, like others of the time, presumably lived in a very humble thatched stone or sod home. He may have had a small plot of land on which to raise grains for bread. Whether a surviving Helvettian, or a recently transplanted Allemanian, our ancestor’s life was greatly influenced by the Roman Empire. Between 900 and 1490, the lands of modern Switzerland that were once part of the Holy Roman Empire were divided among various Germanic rulers. In 1191 the city of Berne, Switzerland, was founded by Duke Berchtold V of Zharingen. In 1218 municipal rights were confirmed on the city by King Freiderich II of the German empire. At about this time, as with the rest of Europe, men were forced to adopt surnames. Precisely when this happened in Switzerland is unclear. The bulk of European surnames in countries such as England and France was formed in the 13th and 14th centuries. The process started earlier and continued in some places into the 19th century, but the norm is that in the 11th century people did not have surnames, whereas by the 15th century they did. Whether the surname was selected in honor of St. Joder, or whether it was derived from the residence of our Joder ancestor is unknown. Numerous places and geographical features bear the name Joder, such as the mountain called the Joderhorn in the French-speaking Alps; the small mountain church Saint Joder at Altzellen between Stans and Engelberg; and Joder Spring and Joder Pass in the high Alps of the French-speaking region. In the village church at Niederwald in Canton Valais there is a lovely ceiling painting with the legend, “How Saint Joder [Theodore] Multiplied the Wine.” All these may be taken as signs of the antiquity of the Joder family and the fact that Volume 4 of the Historical–Biographical Lexicon of Switzerland lists “JODER—very old, settled clan from Steffisburg,” speaks for itself. Our Joder ancestors were not mere peasants and breeders of livestock. They were involved in commercial ventures: grain mills, tanneries, sawmills, brick factories, oil mills, fulling mills [for making felt], and stamping mills. They are also represented from early on in high offices of the regional and village administration. “There is no doubt that Joders living in the Huttwyl and Joders in the Steffisburg-Amseligen-Thun and Sigriswil areas are a single clan from the earliest Middle Ages.”5 While most of the American Yoders appear to have emanated from the Steffisburg Joders, it is probable that the Huttwyl-area Joders are more closely related to the American Yordys. Beginning around 1300, the city of Bern expanded its governmental control over surrounding lands. By 1328 the expansion had included the purchase of the city of Thun and in 1353 Bern became a “Canton” and joined the Swiss Federation. The lands encompassed by Canton Bern were areas where the Joder clan lived. At some point between 1250 and 1530, one Joder man who lived in Canton Bern (probably in the area of Eriswil or Huttwyl) had the spelling of his surname changed from Joder to Jordi. Whether this name change was volitional or the result of spelling errors on the part of some bureaucrat is unknown. But the name change persisted. In 1530 a man named Jordi (no given name) is identified in Gondiswil. In 1550 his son, Johannes or Hans Jordi, was born in Gondiswil, and in 1554 a second son, Balthasar Jordi, was born there.6 It is possible that one of these brothers was the progenitor of the Anabaptist and Mennonite Jordis, though no direct link has been proven to date. Balthasar had fifteen children; most stayed in the Gondiswil area for generations. In the 1840s one descendant joined the Mormon Church and emigrated to Utah. Although Canton Bern, Switzerland is the birthplace of the name Jordi, there were at least three other areas of Europe where a similar name originated. In Spain and in southern France two biologically unrelated families chose the surname “Jordy,” and in the Netherlands a family adopted the surname “Jorda.” These families selected the name after a different saint—St. George. These Jordy and Jorda families are mentioned because some members of the families subsequently emigrated to America and [very few] had their names Americanized to Yordy; however, the vast majority maintained the native spelling of their surname. The earliest Swiss Jordis were members of the Catholic Church as were virtually all people of Switzerland before 1520. In 1519, John Calvin and Ulrich Zwingli, former priests and political leaders in Zurich, began the Protestant Reformed Church. Within five years of the initiation, several members split from the church over the issue of infant baptism. These “Anabaptists” became known as the “Swiss Brethren.” The first congregation of historical record was found in Zurich in 1525 and was the congregation that later became known as “Mennists,” and shortly thereafter, Mennonites, after Menno Simons. Reformation spread rapidly and on February 7, 1528, the Protestant Reformed Church became the state church of Canton Bern. The Anabaptist movement followed almost immediately in the Canton. The following 200 years saw multiple efforts on the part of the government and the state church to eliminate the Anabaptist movement. These efforts have been extensively chronicled in the history of the Mennonite Church. Between 1550 and 1700, the Jordi families were living within about a 20-square-mile area of Canton Bern. Civil documents reveal the families to be living in the communities of Durrenroth, Eriswil, Gondiswil, Huttwyl, Ochlenberg, Wiler bei Utzenstorf, and Wyssachen in Canton Bern. These areas are located in the Oberaargau in the Swiss Plateau and are primarily agricultural communities. To date, the historical record suggests that most of the Jordi families remained affiliated with the Protestant Reformed Church. A few retained their Catholic ties. But by 1700, at least one Jordi family had joined the Mennonite movement. This occurred during a time of extreme persecution that included, among other things, confiscation of property and banishment from the country. As a result of the persecution, some members of the Jordi family left Switzerland. Around 1680, Johan Georg Jordi emigrated to Oberbetschdorf, Alsace-Lorraine, France. His religious affiliations in Switzerland are unknown, but in France he and his family joined the Lutheran Church. By 1712, at least two members of the Mennonite Jordi family, Jakob Jordi and Peter Jordi, abandoned Switzerland. It is uncertain how these men may have been related, but it is probable they were siblings. They were part of the second major emigration of Mennonites from Switzerland to escape religious persecution. The refugees traveled “down the Rhine to Alsace and the Palatinate on both sides of the Rhine, as well as certain adjoining territories such as Durlach or Zweibrucken. Since the earlier Anabaptists in these territories were almost completely wiped out by 1600-1630, all the later Mennonite settlements in these areas were made by emigrants from Switzerland. The heaviest movement was in 1650-1690. Some Bernese Anabaptists migrated to the Jura region of the Bishopric of Basel early in the 18th century, and about 1711 some emigrated to Holland. In 1714 the Anabaptists were ordered expelled from Alsace, and many left to found the community in Montbeliard, France, at that time ruled by Wurttemberg.”8 Montbeliard is located close to the Swiss border and about 12 kilometers north of the community of Belfort, France. Peter Jordi’s presumed brother, Jakob Jordi, remained in Europe. In 1715, he is identified as a member of the Amish congregation in Ste. Marie-aux-Mines near Belfort. It appears that some of Jakob’s sons stayed in the area of Belfort where some of his descendants remain to this day. At least two sons, Hans Jakob Jordi (1708-1752), and Ulrich Jordi, moved northeast into Germany. In 1732, Hans Jakob, his wife, and one child were living in Heppenheim.10 Hans Jakob Jordi appears to be the progenitor of all the Jordi (sometimes spelled “Jordy”) families from the area of Zweibrucken. Ulrich Jordi and his family left for the “New Land” in 1749 according to information found in the Palatine Mennonite Census lists.11 However, to date, no additional information on Ulrich Jordi has been identified. As noted, at least one of the sons of Jacob Jordi remained in the area of Belfort. He was apparent ancestor of Peter Yordy (born 1815) who would emigrate to Illinois in 1838. 6 Genealogical record of the Jordi family of Gondiswil, Kt. Bern, Switzerland, abt. 1550-1905, compiled by Julius Billeter (1869-1957), p.60 ff., Family History Library International Film 128058, Item #3. Original records in possession of Ruby M. Lee, 956 S.500 E., Orem, UT 84057. 9 Family Tree DNA analysis of descendants of Peter Yordy of Pennsylvania and Peter Yordy of Illinois, 2006. 10 1732 Mennonite Census List Reconstructed, URL unknown. 11 Guth, Hermann, et. al., “Palatine Mennonite Census Lists, 1664-1793”, pub. Mennonite Family History, 1987. The following is an overview of the lives of three siblings who arrived in Tazewell County, Illinois from Bavaria between 1839 and 1842: Peter Yordy, Christian Yotty, and Jacobina (Philabena) Yordy. The family surnames are “Americanized” versions of the family surname, Jordi (Switzerland) and Jordy (France and Germany). In review of many historical documents in Illinois, a total of 32 different spellings of the surnames was identified. Peter Yordy was born July 12, 1815 in France.1 His birth name may have been Peter Jordy or Pierre Jordy or Peter Jordi. It is most likely that his actual surname was “Jordy,” an Anabaptist name in the region and one that originated in Canton Bern, Switzerland. In Peter’s case, the surname Jordy was “Americanized” to “Yordy” when he emigrated to the United States. Nothing is known of Peter’s early years. Peter apparently decided to leave Bavaria for America around 1837. A review of ships’ records of all ships landing in New Orleans in 1837 and 1838 reveals no evidence of Peter on any passenger list. This suggests that Peter may have come to America as a “stowaway” and entered the country as an “illegal immigrant”. The exact date that Peter arrived in the U.S. in 1838 has yet to be ascertained. In 1839, “Peter Yorte” arrived in Tazewell County and settled on Partridge Creek (near Metamora).6 There is no known record of Peter’s life immediately after his arrival in Illinois in 1839. It is likely that he worked as a laborer. On February 9, 1847, Peter married Mary Birky, an Amish woman with a nine-year-old son.7 The couple was married in the Dillon Creek Amish Congregation in Tazewell County.8 Mary Birky was born in Bavaria on April 16, 1816,9 the daughter of Christian Birki and his first wife, Mary, whose surname is unknown. Mary Birky Yordy’s first son, John, was born October 23, 1838, in Bavaria. Presumably, he was born out of wedlock. “Peter Zerr” = Peter Zehr. Probably the son of Daniel Zehr II and Magdalena Unzicker. Born 30 Dec 1818 in Mannreid, Bavaria, Germany (he would have thus been 25 in 1844). Married Elizabeth Oyer on 12 Aug 1845. “Joseph Burger” = Joseph Birkey, second oldest child and oldest son of Christian Birki; brother of Mary Birky. Born 1818 in Bavaria. “Catharina Kenntner” = Catharina Kettner, daughter of George Kettner and Marie Birky Kettner, and first cousin of Mary Birky Yordy. She may have been traveling as a chaperone for Mary Birky and her son on the voyage. She apparently returned to Bavaria and emigrated with her father and siblings in 1849. “Mary Burger” = Mary Birky, oldest daughter of Christian and Mary Birki and future wife of Peter Yordy. “Johann Horn” = John Birky Yordy, son of Mary Birky. He was raised as a foster child by Peter Yordy and changed his name to John B. Yordy. In the 1900 US Census, Mary stated that she immigrated in 1847 and had “resided in this country for 53 years.”11 However, according to her son, John, they arrived when John was age six—1844. On February 28, 1854, Peter’s brother-in-law, George Yeackley (husband of Peter’s sister, Jacobina), died. Peter was named the administrator of Yeackley’s estate and the guardian ad litem for his four children.14 Five months later, on June 12, 1854, Jacobina Yeackley married Henry Raab.15 Raab died unexpectedly in early 1860 and left his family with a significant mortgage. When the mortgage holder foreclosed on the property, Peter purchased it for the cost of the mortgage ($620.15). On September 18, 1860, Peter entered into a “land swap” with a man named August Knoll. Peter sold Knoll the Yeackley farm land for $2000 and purchased a house in the city of Pekin from Knoll for $700.16 This house was located on the northeast corner of Sixth and Ann Eliza Streets. Peter apparently did this because Jacobina needed a place to live with her small children. In the 1861 Pekin City Directory, Jacobina and children were living at this address. It is stated that, “He arrived from the Dillon Creek congregation and that he joined the Roanoke Mennonite Church, but was [also] active in the Panther Creek Church of the Brethren.”23 This is apparently partly due to the proximity of the Panther Creek Church to his domicile. The Panther Creek Church of the Brethren is located about 1/4 mile from the Peter Yordy farm, while the Roanoke Mennonite Church is located almost six miles away. According to local historian, Ken Ulrich, it was not uncommon for Mennonites located a distance from the Roanoke church to be active in the Brethren church, which was apparently the case for Peter Yordy. Another explanation for this dual church attendance may be that when Peter moved to Woodford County, the Panther Creek Church of the Brethren was an established church, having been built in 1852. The Roanoke Mennonite Church did not form until 1875, eight years after Peter settled in Woodford County. At the time of his death, Peter was a member of both churches. Peter’s great-great-grandson and namesake, Rev. Peter Yordy, is currently (2007) the pastor of the Panther Creek Church of the Brethren. Peter’s farm in Roanoke Township was located approximately 3 ½ miles north of a farm owned by “Christian Yotty” in northern Olio Township. On March 15, 1867, Peter and Christian Yotty were co-signers of a note to Jacob Gangloff in the amount of $800 bearing 10% interest.24 The reason for the indebtedness is not stated on the note. When Christian Yotty died in 1870, his estate showed a debt to Jacob Gangloff of $946.74, an amount consistent with the unpaid principal and interest on the $800 note.25 This would suggest that Peter signed as a guarantor for a loan made to Christian. In April 1880, Peter Yordi, et. al., filed two lawsuits in the Woodford County Court against Peter N. Vance, et. al., and W.M. Meek, et.al. Both suits sought declaratory relief and an injunction. According to the records of the Court of Chancery in Woodford County, the cases revolved around a tax issue. In 1879, the Woodford County tax collector sought to collect $7000 from the village of Roanoke. The city refused to pay. The tax collector then tried to collect the monies from individual landowners within the city boundaries. Peter Yordy was one of the landowners. He owned one acre of land that he had purchased in order to donate it to the local school district to build a school within the town. Peter and the other property owners of Roanoke sought a restraining order claiming the County could not turn to individual municipal property owners if the city government refused to pay required County taxes. The court agreed and held for the plaintiffs. The County appealed and the appellate court held that the original restraining order was erroneously filed and dismissed the case. Peter and the others filed a second suit for a restraining order. That case was also dismissed and no relief was obtained by Peter.30 As a result, the 43 property owners were required to each pay a prorated portion of the $7000. Recognizing that Peter had only purchased his property to donate for a school, the other property owners paid Peter’s share of the property tax. Peter apparently retired from active farming in 1883-84. Peter, 70 years old at the time, and Mary, left their “home place” near Roanoke and moved in with Daniel and Mary Orendorff near Flanagan. At that time, Peter’s son, Christian, and his family moved from Livingston County to the “home place” near Roanoke. A second house was built on the “home place” and Peter, Mary, Peter Jr. and Barbara, returned to occupy this residence. On October 13, 1889, “Peter Yordy and his wife, Maria, of Nebraska Township, Livingston County” deeded eight acres in Woodford County to their son Peter Jr.34 This transfer of title was apparently done to avoid estate probate. Thus, land records indicate that Peter divested himself of all of his property prior to his death and that he transferred all of it to his children, likely in exchange for an agreement to care for Peter and Mary in their old age, and to care for Peter, Jr. and Barbara, both of whom were mentally challenged. In so doing, Peter and Mary avoided the requirement for a will. Peter Yordy died on July 2, 1897, in Woodford County. He was survived by his wife, Mary, who died May 13, 1902. Both Peter and Mary are buried in the Roanoke Mennonite Cemetery.35 To date, and in keeping with their faith, there has been no will or estate record found for either Peter or Mary—nor has there been an obituary identified for either. One issue in considering Christian and Peter as brothers is the fact that Peter consistently listed his place of birth as “France” while Christian listed his place of birth as “Germany”50 and “Baden.”51 (A number of documents of Christian’s children refer to his birthplace as “France.”) It is possible that if they were brothers, their parents lived in “Baden” in 1809 when Christian was born, then moved to the area of France in 1815 when Peter was born, then moved again to Munich around 1817. The probability is that the Yordy family remained in the same locale when the children were young, but political control of the area changed from German to French during that period. Christian’s precise birth year is uncertain. According to immigration records, he was born in 1810-11; according to the 1860 census, he was born 1809-10. Christian Yotty (“Christ Jody”), age “28”, arrived in New Orleans on December 26, 1839, on the ship “Alexander Toussin.” He came from Bavaria via Le Havre, France and Havana, Cuba. He was traveling with Catherina Stalter (age 30), her children, Johan (age 5) and Maria (age 3), her sister, Magdalena Stalter (age 24), and a man named Jakob Stalter, possibly her brother.52 Two days after arriving, Catherina gave birth to her third child, Henry (b. December 28, 1839 in New Orleans). Originally, it was assumed that Christian and Catherina were married prior to arriving in America, and it was a puzzle why she would have used her maiden name and the name “Stalter” for her children in immigration records. Y-DNA tests were performed on descendants of her sons, John, Henry, and Jacob, in 2006 to determine if there was a genetic connection between the Yotty, Yordy, and Yoder surnames. Those studies indicated the descendants of John Yotty and Henry Yotty were not a match to either the Yordy or Yoder surnames. Jacob Yotty’s descendant did match both the Yordy and Yotty surname Y-DNA. Thus, the DNA match of Jacob Yotty’s descendant proves that Christian Yotty’s original surname was Jordy, and that he was closely related to Peter Yordy—genetically consistent with a sibling. It is further presumed that John and Henry (and presumably Catherina’s daughter, Mary/Maria) were fathered by someone other than Christian Yotty. It is unclear whether Catherina Stalter Yotty was married prior to her marriage to Christian. Christian raised John, Mary, and Henry as his own and they adopted the Yotty surname. the group was a “family unit” prior to their arrival in Illinois. Christian Yotty arrived in Tazewell County in 1840 and settled on Black Partridge Creek where he became a member of the Partridge Creek Amish Congregation.56, 57 There, three children were born to Christian and Catherina (Joseph in 1845, Catherine in 1848, Jacob in 1853). The family moved to Olio Township in Woodford County between 1853 and 1860. In 1857, Christian bought 163 acres of land in section 3 at the far north edge of the township, about two miles north and four miles east of Eureka, Illinois. Jacobina was born in Munchen (Munich), Bayern (Bavaria) on June 24, 1819.60 She is named as the sister of Peter Yordy in family documents and the George Yeackley estate papers.61 She was apparently married to Johan George Yeackley before 1842 in Bavaria. George Yeackley was a Catholic. The reason for the apparent duplicate marriage ceremonies in Bavaria and Illinois is unclear. Several possible explanations exist. It is known that George and Jacobina raised their children in the Catholic Church.65 Their daughter Catherine was born in January 1842, in New Orleans, shortly after the couple arrived. Perhaps in order to have Catherine baptized in the Catholic church, the couple needed to provide some proof of the validity of their marriage but lacked adequate documentation from Germany. Or perhaps Catherine was conceived out of wedlock and the couple merely traveled under the name “Jeckle”, waiting to be married until after they arrived in Illinois. In September, 1850, “George Ackerly” was living in Tazewell County, Illinois, with his wife, “Pena,” and children, Catharine, Elizabeth, Joseph, and Pena.66 George bought 80 acres of land from David Alexander for $878 on April 18, 1853. This land is located two miles northwest of Groveland. On February 28, 1854, George Yeackley died in Tazewell County. Peter Yordy was named administrator of his estate and guardian ad litem of his four children, Kate, Lizzie, Joe, and Phoebe.67 This assignment of guardianship was presumably done to prevent the children from being taken from Jacobina. On July 12, 1854 (five months after the death of her first husband), Jacobina Yordy Yeackley married Henry Raab in Tazewell County.68 A son, Henry Raab, Jr., was born 1855-57 (his headstone in the Craft Kimmel Cemetery says 1855; US Census data suggests 1856-57). In 1856, Henry Raab, Sr. purchased the land owned by the estate of George Yeackley for $8.50 per acre, and in 1857, he became co-guardian of Jacobina’s children.69 The land was subject to a mortgage. In late 1859, Henry defaulted on the mortgage. Henry Raab, Sr. died sometime between February and June 1860. Jacobina’s brother, Peter Yordy, purchased the farm from the mortgage holder and later traded the farm for a house in Pekin and cash for Jacobina and the children (see under Peter Yordy, above). A. Catherine Yeackley (17 Jan 1842-18 Jul 1932) m.
1 Headstone, Roanoke Mennonite Cemetery, Roanoke, IL. 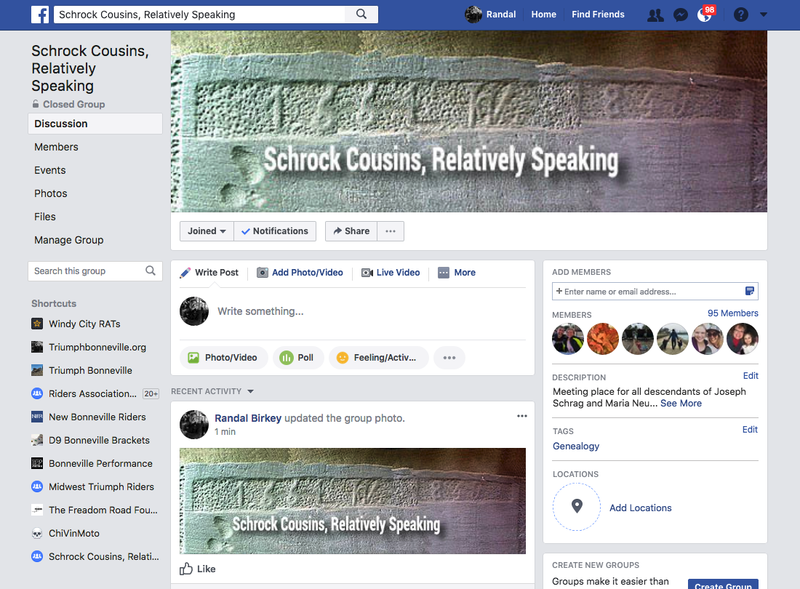 2 Joseph Staker, The Staker Family, Amish Mennonites in Tazewell County, Illinois. 3 “The Year With No Summer,” Wikipedia, 2006. 4 Woodford County Tax Records, 1868. 5 Information from Marvin Yordy, Roanoke, Illinois, based on notes written by his father, Amos Yordy. 6 Centennial History of The Mennonites In Illinois, Harry F. Weber, 1931. 7 “Peter Youghter” married “Mary Birkey“; Marriage License, Tazewell County, IL. 8 History of the Roanoke Mennonite Church . . . 125 Years, 1875-2000. Understanding of the Past. A Guide to Our Future. Compiled by Ken Ulrich for Roanoke Mennonite Church. 2000. 9 Headstone, Roanoke Mennonite Cemetery. 10 New York Passenger Lists, 1820-1844, June 17, Baltimore, p. 4. 111900 US Census, Illinois, Woodford County, Roanoke Twp. 121850 US Census, Tazewell County, (as “Peter Yatty). 13 Series of Deeds found at Tazewell County Courthouse by Carol Heilman, 2006. Copies on file. 14 Probate record of George Yeackley, Tazewell County Probate Court. 15 Illinois Regional Archives and Depository – Volume A, p. 254, License #2389. 16 Series of Deeds found at Tazewell County Courthouse by Carol Heilman, 2006. Copies on file. 17 1860 US Census, Illinois, Tazewell County, Elm Grove Township, (as “Peter Yorty”). 18 The Yordy Story, 1815-1971. 19 Livingston County Deed Book Z, page 286. 20 Obituaries of Peter, Simon, and John E. Yordy. 21 Livingston County Deed Book 61, page 229. 22 History of the Roanoke Mennonite Church . . . 125 Years, 1875-2000. Understanding of the Past. A Guide to Our Future. Compiled by Ken Ulrich for Roanoke Mennonite Church. 2000; Woodford County Deed Book T, p. 547. 24 Estate of Christian Yotty; November, 1870, Woodford County Probate Court, Eureka, IL. 25 Christian Yotty estate file located at the Woodford County Courthouse. 26 1870 US Census, Roll 295, Book 1, page 468a (as Peter Yottey). 27 Woodford County Tax Records, 1868. 28 History of the Roanoke Mennonite Church . . . 125 Years, 1875-2000. Understanding of the Past. A Guide to Our Future. Compiled by Ken Ulrich for Roanoke Mennonite Church. 2000. 29 1880 US Census, Illinois, Woodford County, Roanoke Twp., (as “Peter Yordie”). 30 Woodford County Clerk of the Court Docket Book, 1880. 31 Livingston County Deed Book 87, p. 383. 32 Livingston County Deed Book 75,p. 45. 34 Woodford County Deed Book 61, p. 161. 35 Headstones at the Roanoke Mennonite Cemetery. 36 Woodford County Guardianship Proceedings. 38 US Census Data, Tazewell and Woodford County, 1850 and 1860. 39 Centennial History of The Mennonites In Illinois, Harry F. Weber, 1931. 40 US Census Data, Illinois, 1850-1880. 42 Phone conversation between GLY and Glendon Albrecht, December, 2002. 43 Estate File of Christian Yotty; Woodford County Courthouse. Case File 701, Microfilm Roll 106. 45 Plat maps of Woodford County, 1868 and 1870. 47 Marriage License of Annie Bachman and Christian Yotty, per Carol Heilman. 48 Estate file of Joseph Yotty, Woodford County Illinois Courthouse. 49 Family Tree DNA results on Doug Yotty and Gary Yordy. Copies in author’s personal file. 50 1850 US Census, Illinois, Tazewell County. 51 1860 US Census, Illinois, Tazewell County. 52 Information from ships passenger list found at LDS Family History Library in Wilmington, NC. FHL #0200147; NARA #M259-19. 53 Guth, Hermann, Amish Mennonites in Germany, p. 248. 54 1850 Federal Census, Illinois, Woodford County. 55 Mary Yotty obituary, Woodford County Journal, January 28, 1926. 56 Coming of the Mennonites to Illinois, by Weber, 1939, page 90. 57 Centennial History of The Mennonites In Illinois, Harry F. Weber, 1931. 58 Obituary in the Metamora Herald, October 11, 1894. 59 Information from Carol Yotty Heilman. 60 Headstone, Craft Kimmler Cemetery, Tazewell County, Illinois. 61 The Yordy Story, 1803-1971. 62 Passenger Manifest of the ship Governor Davis, LDS FHL microfilm # 0200150. 63 Wedding License copy on file. 64 Illinois Marriages Before 1850, Genealogy.com. 65 The Yordy Story, 1803-1971. 66 1850 US Census, Illinois, Tazewell County, entry 462, Roll 129, Book 1, page 33 at Genealogy.com. 67 George Yeackley Estate Papers, Tazewell County Estate Files, Box 52. 68 Illinois Statewide Marriage Index. 69 George Yeackley Estate Papers, Tazewell County Estate Files, Box 52. 70 Christian “King” m. Jacobina “Yekel,” Vol B, page 250 Tazewell Co., IRAD. 71 Christian Krug’s headstone in Groveland, IL. Tazewell County Cemeteries Vol. 4. 72 Obituary of Louis Krug, Pekin Daily Times, Nov. 13, 1943. 73 1870 US Census, Illinois, Tazewell County, Pekin Township. 74 1980 US Census, Illinois, Tazewell County, Groveland Township. 75 Tazewell County Cemeteries, Vol. 4., headstone inscriptions. Within weeks following the publication of “The History of the Family of Peter Yordy (1815-1897)” in the winter issue of Illinois Mennonite Heritage Quarterly, additional information on Peter and his family was discovered. It is both additive and corrective to the original article. Peter Yordy was born July 12, 1815 in France according to his headstone in the Roanoke Mennonite Cemetery. However, the author discovered his birth registration that contradicts some of this data. Note that the authorities spelled the surname “Jordi” on Peter’s register and “Jordy” on Jacobina’s register. Peter’s father actually signed his birth register and did so using the “Jordi” spelling. The civil registrar signed Jacobina’s register on behalf of her father. No other birth, death, or marriage information was identified in the Jaegerthal/Windstein records for this family. Specifically, no birth registry for Christian or any other children have been found. It thus appears that the family arrived shortly before Peter’s birth and left for Bavaria shortly after Jacobina’s birth. The identification of the parents of Peter Yordy coupled with prior research by Hermann Guth 3 allows us to tie together many more generations of Peter’s ancestry. a) “C.” (full given name is unknown, but thought to be Chretien Jordi) remained in the area of Belfort. Most of this son’s descendants left the Amish and Mennonite church. Some joined the Lutheran church and some returned to the Catholic church. 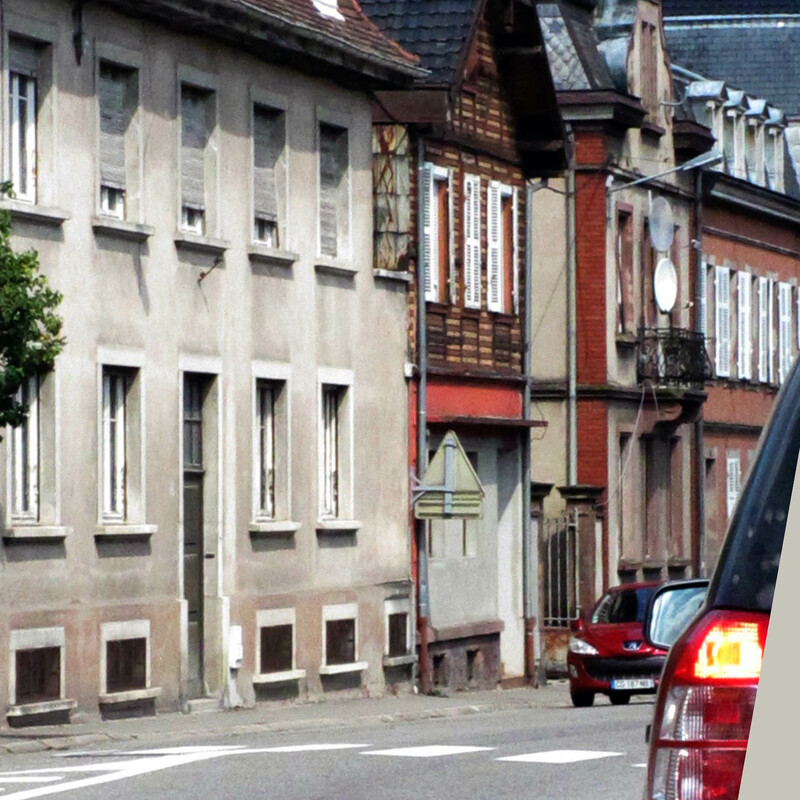 Ancestors remain today in Belfort and several small adjacent villages. Two of Hans Jakob’s sons were Jakob Jordi II and Ulrich Jordi. In 1746, brothers Jakob Jordi and Ulrich Jordi left Heppenheim and moved 23 miles north with their families where they were employed on the Haeusserhof at “Oberamt Oppenheim Nieder-Ingelheim,” an estate of Lady von Haxthausen located just east of Ingelheim. The estate was a former monastery that had been founded in 1190. It was taken over by the Haxthausen family in 1650. Today, the remnants are known as “Haxthaeuserhof.”10 In 1749 Ulrich Jordi and his family left for the “New Land.” Efforts to locate immigration data on Ulrich Jordi from 1749 have been unsuccessful. His fate remains unkown. Jakob Jordi II died on the Haeusserhof on September 10, 1752. His wife, three sons and four daughters remained on the estate until at least 1753.11 Their names are unknown. 1) Anna Jordy was born 1747. She was the third wife of Jakob Muller of the Münsterhof estate at Dreisen, Kirchheimbolanden. His first two wives had been first, Elisabeth Schenk (Edenbornohof near Kirchheim-Bolanden) and second, Anna Brenneman. In 1753 he was in Morzheim near Landau “with wife and three sons, 7,4, and 3 years of age” (Guth p. 200 citing Palatine Mennonite Census Lists). He was one of the original three Anabaptist leasors of the Münsterhof in 1764 and must have been at least two decades senior to Anna. 3) Verna Jordy was born in 1752. She married Christian Eyer, son of Rudolf Eyer and Veronika Kurtz. 4) Jakob Jordy was born in 1755. He married first, Magdalena Imhof, daughter of Peter Imhof and Veronica Rocke of Hochspeyer. They had three children: Johannes (Jean) (b.12/23/1784); Elisabeth (b. 12/4/1785); and Jakob (Jacques) b. 7/22/1787. After Magdalena’s death on 10/17/1787, Jakob married Veronika Habecker, daughter of Johannes Habecker and Veronika Imhof of Hofstatten. Jakob and Veronika had a son, Christian (Chretien) Jordy (b. 1790). Jakob lived his entire life on the Wilensteinerhof near Trippstadt. After he died in 1794, his widow, Veronika, and her step-son, Jakob, and son, Christian, moved to Windstein, France, near her brother, Johannes Habecker, and sister, Katharina Habecker Roggy, both of whom lived near Lembach. 5) Magdalena Jordy was born in 1765 in Eselsfurth near Kaiserslautern. She married Johannes (Jean) Imhof, son of Peter Imhof and Katharina Roggy of the Aschbacherhof. Jakob Jordy’s German name was translated in French to “Jacques Jordi” by authorities in Windstein. He apparently adopted part of the French version as he signed his name “Jakob (German) Jordi (French).” It is interesting to note that his cousin (son of Jakob Jordy and Magdalena Imhof) who was also named Jakob Jordy and lived in Windstein, signed his name “Jakob Jordy“ with a “y,“ perhaps to differentiate the two Jakob Jordy’s. With the exception of the years 1814-1818, little is known of the lives of Jakob Jordi, son of Johannes Jordy and Barbara Esch. Birth records of his children tell us that he was married to Catherina Schantz. Her ancestry is uncertain, but she may have been a daughter of Christian Schantz and Anna Rubi of the Heiligenbrunerhof near Lembach. To date, no historic record of the marriage of Jakob and Catherina has been located. We also know that through this period, the couple lived at Jaegerthal, France. Jaegerthal is the site of an iron foundry (first built in 1602) and an adjacent estate. It could not even be called a “village.” It would more appropriately be referred to as a commune located approximately one mile south of the village of Windstein, France. It appears that Jakob Jordi began as a day laborer on the estate at Jaegerthal. He apparently worked in the agricultural endeavors at Jaegerthal (rather than the foundry) as he was described as a “cultivator” or farmer on Jacobina’s birth registry. From the historic records thus far identified, it appears that Jakob and Catharina resided somewhere other than the Jaegerthal/Windstein region prior to 1814. During this time, their son, Christian, and possibly a son, Jakob (father of Barbara Yordy Eigsti), were born. The historic record suggests they left Jaegerthal shortly after the birth of daughter, Jacobina, in 1818. According to their son, Peter Yordy, they moved to a location “about 20 miles south of Munich, Bavaria, Germany. Though the sight has not yet been located, Peter’s immigration record suggests it may have been near Starnberger See (Lake Starnberg). Peter apparently decided to leave Bavaria for America around 1837. Family legend recounts that he came to New Orleans, then up the Mississippi and Illinois Rivers, arriving in Tazewell County as Peter himself said, “with no capital and a head full of lice.” However, this is apparently incorrect. A review of records of all ships landing in New Orleans in 1837 and 1838 revealed no evidence of Peter on any passenger list. In December 2007, genealogist Joseph Staker discovered the historic record of Peter’s immigration to America.19 Twenty-three-year-old “Peter Jordte” or “Jodte” from France emigrated to New York. He arrived on the packet ship, Charles Carroll, which arrived from Le Havre on September 17, 1838. This individual’s name falls directly in a crease in the paper, making it difficult to read clearly. On the passenger list immediately before Peter’s name is the name of Joseph “Heser” (20) and Andrew Burkey (29) and his wife, Barbara (29) and son Joseph (2). These people are thought to be Joseph Heiser; Andrew Burcky (son of Andrew Birki and first cousin of Peter Yordy’s future wife, Mary Birkey Yordy) and his wife, Barbara Eyer/Oyer and their son, Joseph. Joseph Heiser had lived at Hanfeld, and Andrew Burcky had lived at Söcking.20 The two villages are adjacent and the town squares only two miles apart, very near Starnberg, and approximately 20 miles south of Munich. The fact that Peter, Joseph, and Andrew emigrated together suggests that they knew each other prior to the trip. Further credence is leant to this theory by their actions after arriving in Illinois. In the 1855 Tazewell County Census21 and the1860 US Census,22 Peter, Joseph, and Andrew were all next-door neighbors in Elm Grove Township, Tazewell County. Thus, historic documents and Peter’s own testimony indicate that the family of Jakob Jordy and Catharina Schantz relocated from Jaegerthal, France to somewhere around Hanfeld or Söcking, Germany. Unfortunately, few historic documents are available from these locations and thus far, none have confirmed their residence. On February 9, 1847, two and one-half years after arriving in America, Mary married Peter Yordy. That marriage occurred within the Dillon Creek Amish Congregation in Tazewell County, Illinois. A recently identified 1845 Tazewell County Census sheds light on her life between her arrival in Illinois and her marriage to Peter. In 1845, thirty-year-old Mary “Burgie” resided with a male under 10 years of age (John Horn Birkey) as the head of the household in Tazewell County. Also in the household are a female aged 10-20 and a female under 10 years of age.24 The identity of these two females is unknown. It is probable that the two women were boarders. The listing of Mary as the “Head of Household” suggests that Mary emigrated with significant funds consistent with the relative wealth of her father, Christian Birki. Triangulation of neighbors suggests that after their marriage, Peter and Mary lived in the home where Mary was living in 1845. 1 Registres de l’etat civil, 1793-1882, Windstein, Alsace, France. LDS Family History Library microfilm #1069482. 3 Guth, Hermann, Amish Mennonites in Germany, Their Congregations, The Estates Where They Lived, Their Families, p. 193-4, pub.1995 by Masthof Press. 7 freepages.genealogy.rootsweb.com/~kmiller/miller/d54cen1732.pdf, “1732 Reconstructed Census of Mennonites.” p. 6. 8 Guth, Hermann, Archive 77/4237, folio 76, “Palatine Mennonite Census Lists, 1664-1793,” p. 37. 9 Guth, Hermann, Archive 77/4238, folio 31-44, “Palatine Mennonite Census Lists, 1664-1793,” p. 46. 10 Guth, Hermann, Archive 77/4239, folio 196-198, “Palatine Mennonite Census Lists, 1664-1793,” p. 67. 12 Guth, Hermann, Archive 77/4239, folio 155, “Palatine Mennonite Census Lists, 1664-1793,” p. 64. 14 Guth, Hermann, “Amish Mennonites in Germany”, p.193. 16 Registres de l’état civil, 1793-1882, DécPs 1793-1862 (LDS FHL INTL Film #1069486). 17 Tables décennales 1813-1862 Naissances 1793-1862 (LDS FHL INTL Film #1069482). 18 Personal communication from Joseph Staker, December 2007. 19 New York Passenger Lists, 1820-1957 (1838 September 17) Charles Carroll at ancestry.com, 2007. 20 Personal correspondence with Joseph Staker, December, 2007. 21 1855 Tazewell County Illinois Census, p.1 (LDS Family History Library Film # 977062). 22 1860 U.S. Census, Illinois, Tazewell County, Elm Grove Township, p. 176. 23 New York Passenger Lists, 1820-1957, 1844, June 17, Baltimore, p. 4. 24 1855 Tazewell County Illinois Census, p.1 (LDS Family History Library Film # 977062).